I'm thrilled to announce that my article, co-authored with Ronald van Luttikhuizen, on "Creating the platform of the future with Oracle Fusion Middleware 12c" has been published by Oracle Scene. This article shows how Oracle Fusion Middleware 12c offers one complete, modern, open and integrated stack that allows you to create a future-proof platform. Oracle Fusion Middleware provides mobile and web access from any device based on user and customer experience best practices. It enables applications to be responsive and to create valuable insights by incorporating big and fast data capabilities; and gives you control over both structured as well as unstructured knowledge-driven processes. It also has best-in-class integration capabilities, both between the products in the Fusion Middleware stack, as well as with other applications and data either running in the Cloud or on-premise. End events define how a process should finish and just like with start events, processes can have more than one end event. 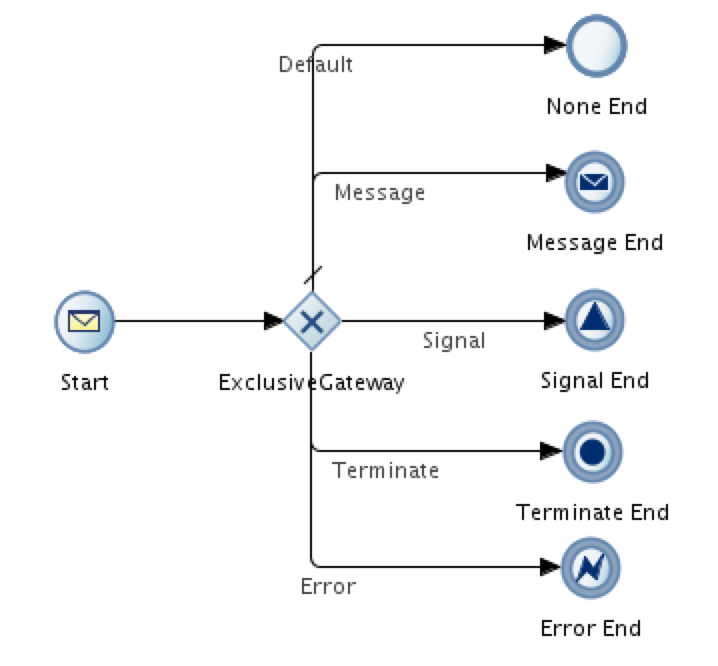 As you can see from the sample process below, we are provided with a plethora of end events that include a “None End” event, a “Message Send” event, a “Signal” event and a “Terminate End” and “Error End” event.